Scherzer is also the third pitcher in three years to do it. 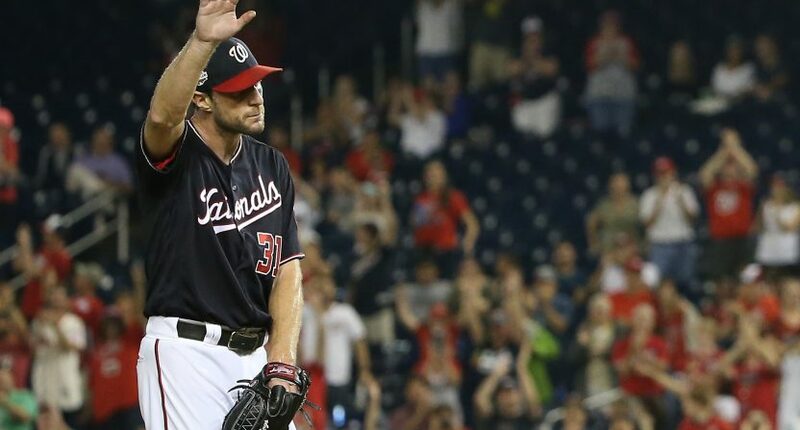 Max Scherzer has been ridiculously good for a long time now, but with the Nationals struggling overall this year, it’s been easier to overlook just how good he’s been in 2018. But he’s been really, really good, racking up a 7.6 fWAR season behind a 2.53 ERA and the peripherals to match. But while Scherzer has led the National League in strikeouts for the last two seasons, he’d never cracked the 300 K barrier. Tonight was the 82nd 10+ strikeout game of Max Scherzer's career. While Scherzer’s accomplishment is undoubtedly impressive, it’s telling that while the Nationals congratulatory tweet and the headline on this post point out that he’s only the third pitcher since 2002 to strike out 300 in a season, it would also be accurate to say he’s the third pitcher since 2016, because the other two pitchers to do it were Chris Sale and Clayton Kershaw did it in 2017 and 2016, respectively. It’s obvious that baseball has become more of a three true-outcome sport, and that we didn’t get a 300 strikeout season for more than a decade only to get three in a row is plenty of evidence. Obviously Scherzer, Sale, and Kershaw are generational talents, but most of the reasoning normally given for why strikeouts are up in baseball focuses on the increased role of the bullpen at the expense of the starting pitcher; following that logic, we’d be less likely to see anyone get to 300 strikeouts, and instead we’ve had one for three straight years.